On 3 September the Dutch Venture Competition will take place. Six cleantech startups will compete for the title of best Dutch Climate-KIC Accelerator start-up of 2015. The Venture Competition is an European competition for the most innovative Climate-KIC start-up of Europe. During a festive get together for all Climate-KIC Accelerator start-ups, the six most promising start-ups will take the stage for their 5-minute pitches. Each team will try to convince the expert jury and audience of their innovative idea. The two best teams will progress to the European Finals of the Venture Competition which will be held on 28 and 29 October in Birmingham, UK. The European Finals are part of the Climate-KIC Innovation Festival. 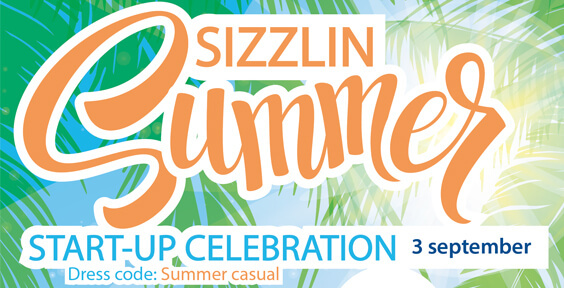 We invite all Dutch Climate-KIC Accelerator startups to join us for the Dutch Venture Competition and Sizzlin’ Summer start-up celebration on 3 September 2015. For more information please contact the Climate-KIC Acceleratator Team.